Weatherseal manufactures one of the best casement windows in the market. 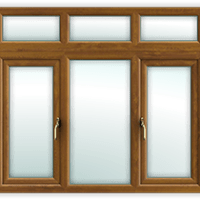 A casement window is the one that is fixed to the frames or profiles with the help of one or more hinges at the sides. They are used either in pairs or single within a frame. These windows are hinged on the outside. Often a casement stay is used to hold open the casement windows. These windows are the best options for the purpose of natural ventilation. The casement windows can be hinged to open outward while angled accordingly in order to direct breezes inside the buildings. The casement windows are also soundproof and dustproof. They guarantee 100% opening. The casement windows are available in 3 attractive colours for customer reference. The casement windows manufacturers can be installed in the Living Room, Kitchen and Balconies. Casement window are windows that can be opened inwards /outwards with the help of hinges fixed on a frame. Our upvc casement windows sashes come up with an updated modern twist and are built with the top quality casement hardware in order to make them very much easy to operate and last much longer and it can even be configured for opening inside and outside. The casement windows are suitable for different places where one might want to enjoy the beautiful scenery of the outdoors. The casement windows are generally made up of the durable materials which have a very amazing thermal as well as acoustic properties of insulation. The very simple as well as the elegant design of these casement windows is when it is combined with the multi-locking points which ensures that they will provide with total security. This kind of windows is best when it comes to providing ventilation for home. This is because it can be positioned in such a way that they will be able to catch a breeze and hence direct it inside your home. Are you annoyed of traffic sounds? We have best options for you. Shift to Weatherseal uPVC casement windows to be noiseless in noisy Bangalore. Weatherseal casement window is the best option for sound proof and energy proof. Weatherseal casement window comes with 4 chamber extruded profile to avoid the sound intensity. Casement windows with 21mm DGU is the best option for sound proof. DGU is Double glazed unit which is the combination of 6mm+10mm air gap+5mm glass which is specially made for noise reduction and energy efficient. Weatherseal casement windows are specially made for sound proof. Weatherseal has TPE gasket i.e. Thermoplastic elastomer. It plays an important role in sound and energy proofing. Weatherseal has co-extruded gasket which are welded during the manufacturing process. This gasket doesn’t allow any leakages like water, A/C etc. Casement window profile specially extruded to develop air tightening technology for zero leakage. Weatherseal casement window comes with 1.5mm GI steel reinforcement. The chambers are extruded based on German technology and the profile especially made for Indian weather conditions. Weatherseal casement window comes with poly point espag locking high security system for multi dimensional locking purpose. Weatherseal casement window has different options like inward opening, outward opening, single shutter and double shutter opening. Weatherseal window has friction stay mechanism to avoid the friction while we operate. Weatherseal follows high standards in window installation service by applying interior and exterior silicon sealants as per the standards. Weatherseal casement window comes with 4 different colors and with different combinations like top fixed bottom casement, casement window with exhaust provision, double shutter casement window with top fan provision etc. Lock this Noisy world with Weatherseal casement windows and be happy and peaceful. Weatherseal has scientifically proved that casement window with 21mm DGU can resist up to 45dbs. Makes the window open fully i.e., 100%. The casement windows manufacturers are a prominent type of window outfitting particularly for the individuals who need to catch the embodiment of old style charm. These casement windows are perfect for spots where you need lovely continuous perspectives of the outside. These entryways are superbly for you to make space, let in outside air and surge your home with normal sunlight by having the capacity to open up a whole mass of your home. Whatever reason you have for your casement entryways, this Weatherseal product gives you a really dazzling option for French or yard entryways. They have an ultra-slim sightline, providing rooms with a modern, clean appearance – and are available in a wide choice of opening configurations and different colours. Colour Traffic white (RAL 9016) Simple but elegant colour, doesn’t absorb more heat.